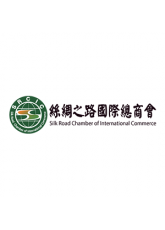 The Trade and Commerce Committee is committed to promoting and guiding enterprises to meet trade and investment opportunities under the Belt and Road Initiative. The Committee makes efforts to coordinate trade investment of countries along the Silk Road with internationally recognized trade and investment rules. On this basis, the fundamental principle of the Committee is to support and encourage multi-channel trade and investment, including WTO multilateral agreements and investment initiatives of the United Nations Council for Trade and Development. 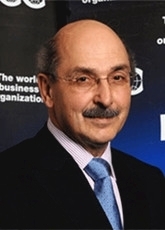 Mr. Jean-Guy Carrier is the former Secretary General of International Chamber of Commerce (ICC) and currently the Executive Chairman of SRCIC. 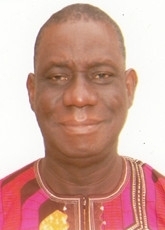 Chief (Dr.) Adediji Hezekiah Oladipo was past President of Chambers of Commerce, Industry, Mines and Agriculture of Kwara State and 2nd Deputy Chairman of Coalition of the Northern States Chambers of Commerce, Industry, Mines and Agriculture. Also Chairman Motorcycle and Tricycle Manufacturing Association of Nigeria. With his reputation he was awarded honorary Doctorate degree in Business Administration in 2008 by the Ladoke Akintola University of Technology, Ogbomosho, Oyo State, Nigeria. He was also a National officer in Nigeria Association of Chamber of Commerce, Industry, Mines and Agriculture. Mr. A. W. Salah Nsouli received his B. B. A. in business administration from American University of Beirut in Feb 1972 and is proficient in English, French and Italian. He is the founder of A.W. Salah Nsouli Est. and the CEO of the Transport and Transit and General Trade in Lebanon. A.W. Salah Nsouli also works as Vice President in Lebanese Italian Business Council from Sep 2012 to the present. He runs business in the area of contracting, engineering, environmental protection technology, waste management plants, medical and hospital equipment and others in Lebanon, Syria and Iraq. ALEXANDRE FERREIRA LOPES is a Brazilian Lawyer and an arbitrator within CIETAC, AIAC, SHIJIAZHUANG ARBITRATION COMMISSION and LANGFANG ARBITRATION COMMISSION. He is responsible for the business activities and legal affairs at China Europe Business Development Service. As President at MECH - CENTRO DE ESTUDOS DO MERCADO CHINÊS. He is a frequent guest speaker at the CCPIT HEBEI LAW FORUM, companies and universities on topics that range from Law, international arbitration to Art of War and the 36 Stratagems applied to business. He speaks Portuguese, English, German, French, and Chinese, and is conversant in Arabic. 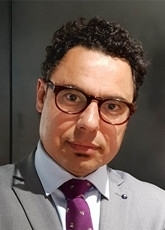 Marco Mazzeschi is a lawyer with almost 30 year experience in international trade, business law and corporate immigration. 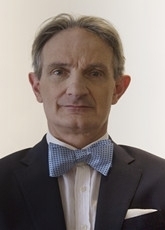 He is admitted to the Bar Associations of Milan and Taipei, registered as a foreign attorney in Taiwan and admitted arbitrator with the Chinese Arbitration Association (CAA) and also a regular member of the American Immigration Lawyers Association and of the International Bar Association. Mr. Mazzeschi is the founder of Mazzeschi Srl, an Italian company which assists foreign investors seeking to do business in Italy. The company is an official partner of INVITALIA Business Network (the Government Agency responsible for the promotion of inward investments). 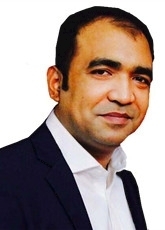 Muntakim Ashraf is an expert of Industries Alliance of Bangladesh who currently sits as Vice President of the Federation of Bangladesh Chambers of Commerce and Industries. He is the M.D. of Chandina Farmland & Cold Storage, a company that specializes in agriculture import & export, cold storage, and frozen food. Dr. Ashraf also holds executive positions in retail plazas, real estate companies, and hospitals.